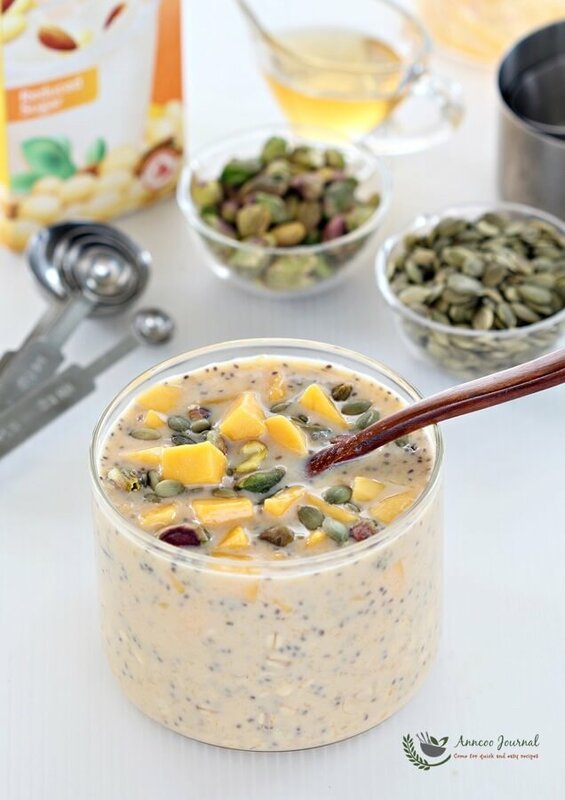 Overnight Oats has been on my regular breakfast menu as it is healthy and nutritious. 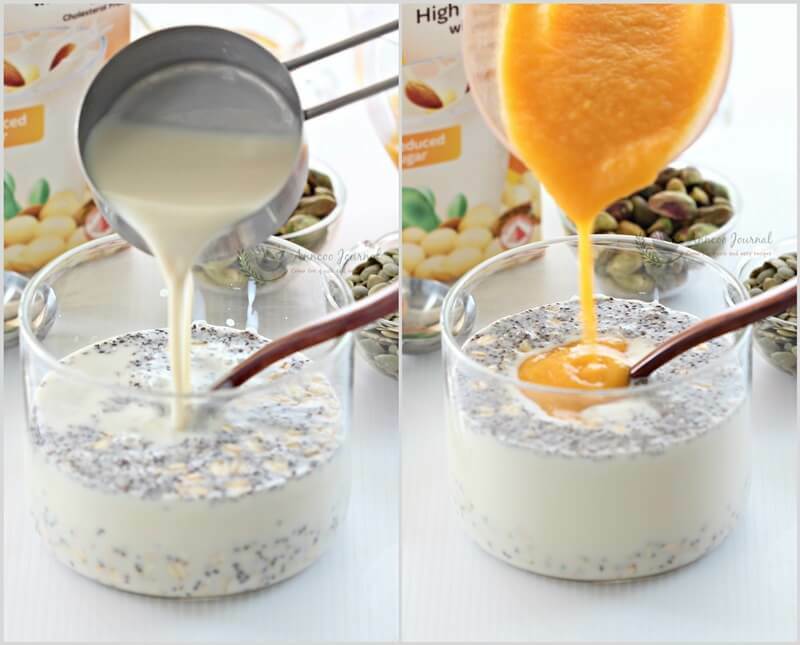 I like it to top with dried fruits, nuts especially fresh fruits. Since mango is still in Season, I pureed the mango and combined with soya milk this time. I really enjoyed this delicious and speedy breakfast meal very much more so topped with extra mango cubes. 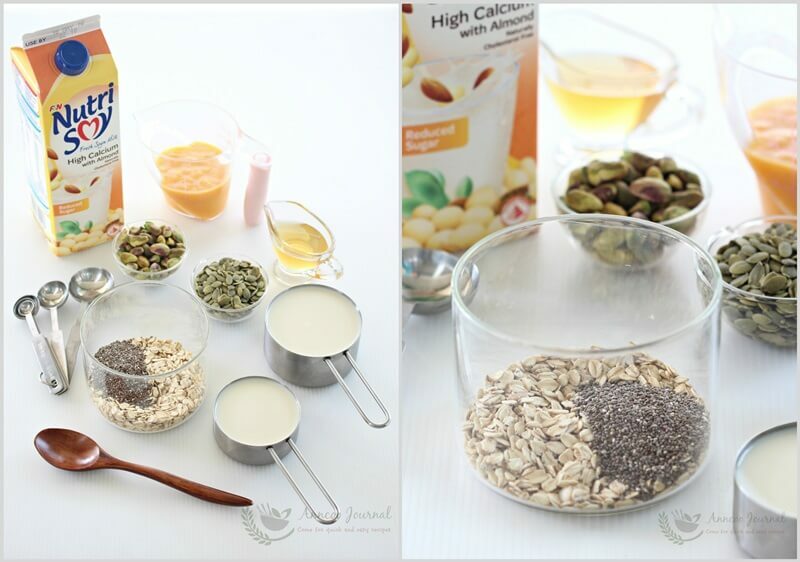 Using a clean glass jar, add rolled oats and chia seeds, mix well. Pour in soya milk and mango puree. 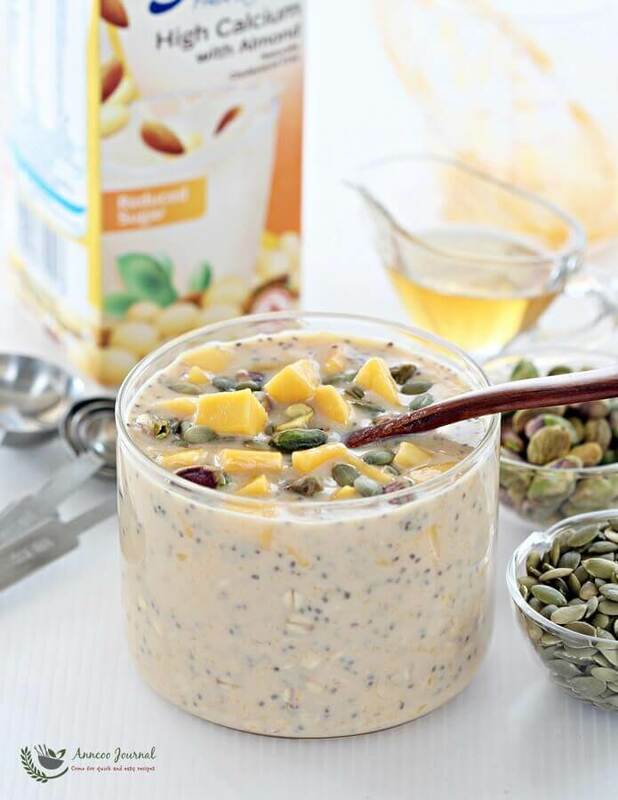 Stir well with a spoon to loosen up the oats at the bottom of the jar. Cover the mixture and leave overnight in the fridge. In the morning, add honey to taste. 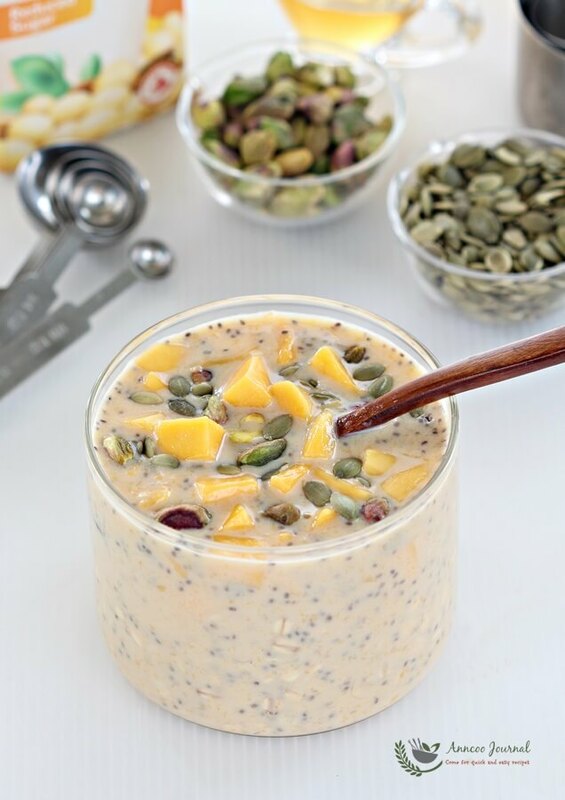 Top with fresh mango cubes, pitaschio nuts and pumpkin seeds. Can use instant oat instead? Yes, you can use instant oat if prefer. So nutritious and delicious! I really should make more overnight oats for the breakfast.